This story is part of our Reduce, Reuse and Rethink series exploring ways to recycle better. Read more stories in the series at cbc.ca/recycle. Cities are taking note of the impact: Vancouver reports that takeout containers and disposable cups represent nearly 50 per cent of all garbage collected from public waste bins. Many Canadian cities, including Toronto and Vancouver, say reducing single-use containers is a priority for their waste strategies. And many restaurants, institutions, like universities, and even customers are starting up their own waste-free takeout initiatives. Here's a look at some of the options already available. The simplest start is for customers to bring their own containers to restaurants, unprompted. That's what Amanda Paine and Jeanie Guerin — two members of CBC's Reduce, Reuse, Rethink Facebook group — do. 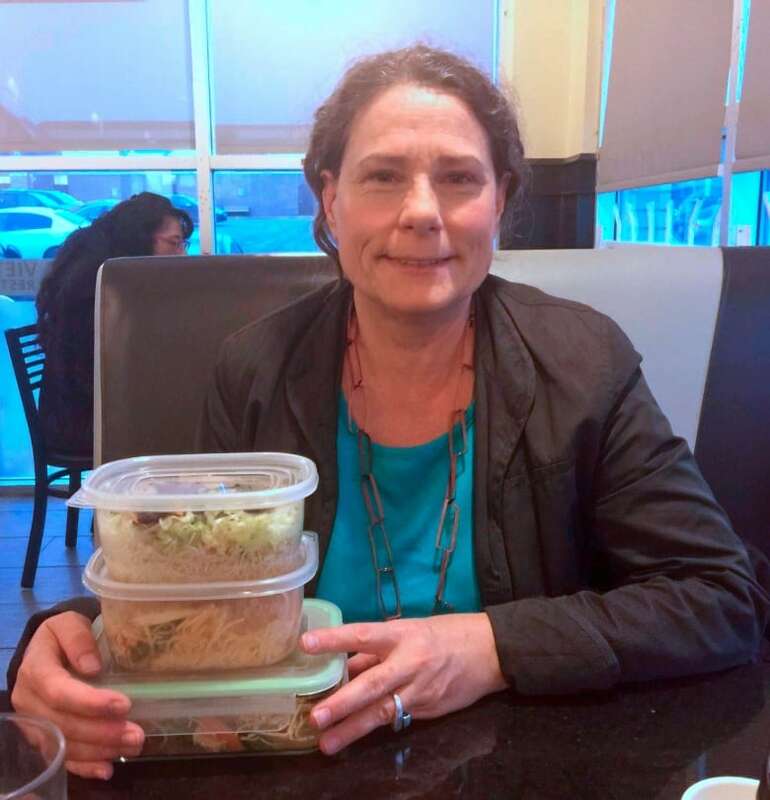 Paine, who lives in Lloydminster, which straddles the Saskatchewan-Alberta boundary, started bringing her own takeout containers to restaurants in September. They're part of a kit she keeps in the back of her SUV, which also includes reusable shopping and produce bags, mugs and water bottles. "Once you create it [the kit] and create the habit, it's quite easy to continue," she said. Guerin, who is from Calgary, started bringing her own containers along to pack up leftovers about two years ago. She says the response from restaurants has been very positive. "Everybody has said, 'What a great idea,'" she said. "It helps them — they don't have to pack a container." As for her, she knows that her reusable glass and plastic won't leak in the car. And she can pop them straight into the fridge, then into her lunch the next day, and reheat them without needing to transfer the food to another dish. While small businesses seem happy to fill these containers, fast-food franchises are sometimes reluctant, Paine said, so she now tries to avoid them. And while some cities, like Calgary and Toronto, encourage residents to bring their own takeout containers to restaurants, others, such as Vancouver, have public health rules that forbid restaurants from filling takeout orders in containers brought in by customers "unless they have a documented procedure, approved by their local health authority." Some restaurants are actively trying to reduce waste by offering up low-cost, reusable containers at their stores. Just Salad is one international chain that has taken on the challenge, giving customers the option to buy a reusable bowl with a lid for $1 US that they can bring in each time they visit. As an incentive, those customers get free toppings. And some organized programs have brought multiple restaurants on-board, including Australia's Trashless Takeaway, and the Tiffin Project in Vancouver, which ran from 2012 to 2015 and was started by chef Hunter J. Moyes. 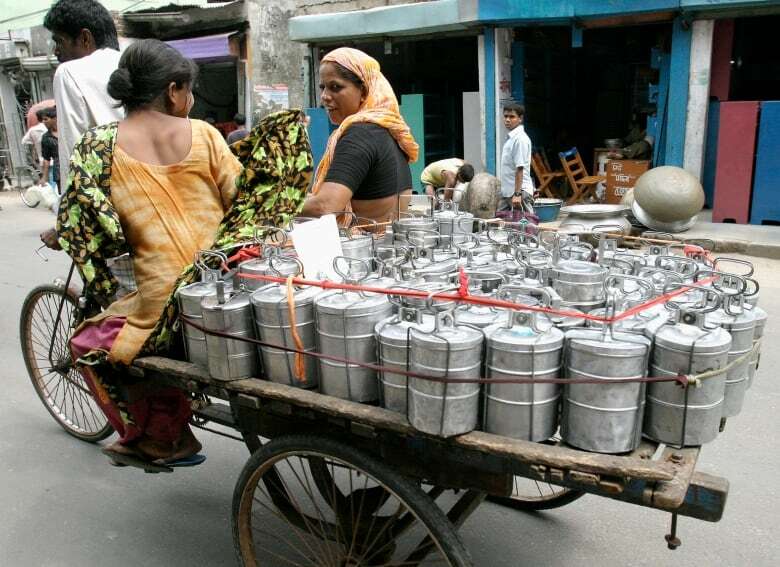 Moyes was inspired by the system in India, where hundreds of thousands of people get meals delivered to their workplaces in stackable metal boxes — called tiffins — every day. "The idea that they feed that many people around the world on a daily basis without waste is mind-blowing," he said. He encouraged customers to buy Canadian-made tiffins and recruited local restaurant chains to offer a $1 or 10 per cent discount to customers who brought their clean containers. He estimates 5,000 containers were part of the project while it was running. The Tiffin Project shut down in 2015 after pressure from public health authorities, who were worried about dirty containers contaminating other food. They began requiring that all reusable containers be run through the restaurant's own dishwashers before being filled, adding an extra level of complication. A version of the project continues in Brussels, Belgium. Noodlebox was one of the chains that participated in the Vancouver program. Josh Boersma, the chain's business analyst, wasn't part of the company back then, but says having restaurants accommodate reusable containers is crucial and needs to be intuitive. "We have to say 'no' unless we have a system built," he said. Many restaurants are set up to take orders in the front, which are then cooked and served into a disposable container in the back, he said. So they're not automatically equipped to track containers tied to individual customers, who may have different allergies, for example. Other groups, including the City of Calgary and the organization Takeout Without, suggest customers talk to local restaurants and ask them to accept and encourage the use of reusable containers. 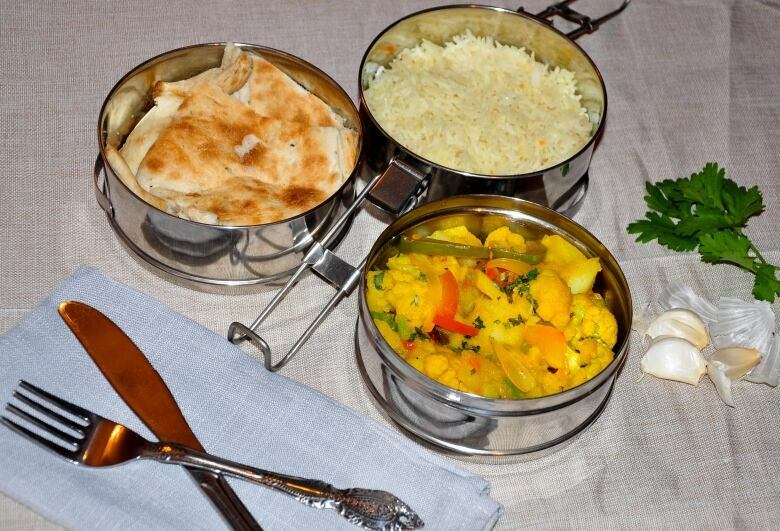 Moyes's initiative also inspired Das Tiffin Projekt in Berlin, which allows customers to bring in their own containers, but also offers a rental option at participating restaurants for 0.50 euros (about 75 cents) a day. The problem with that model, according to Moyes, is the amount that restaurants have to invest upfront is "so huge." That may be one reason why there aren't a lot of restaurants that offer rental containers, especially given the risks involved in trying something that government officials aren't used to. In 2015, Faizal Yunus, co-owner of the Halifax-based Dhaba Express, tried to offer customers takeout in rentable, reusable plastic containers. He devised a procedure for sanitizing them between uses, which got approval by one local public health official. He then spent $1,500 on the containers and started advertising the service — only to have it shut down by a different public health official, concerned that 90 seconds in the restaurant's sanitizer wasn't enough to ensure safety. "We were disappointed," he recalled. Yunus still allows customers to bring their own containers for takeout, which staff run through a sanitizer. There are also some establishments that rent takeout containers on a small scale. For example, Craque de Crème in Toronto offers "to go" crème brûlée in mini-Mason jars, and Tyme Food in New York City sells salads in jars out of kiosks and vending machines. Both companies charge a refundable $1 deposit. Where waste-free takeout becomes really convenient, especially compared to traditional disposables, is when the dishes get delivered to you — and you can return them dirty. That's common practice in South Korea, where food delivery workers return later and collect the containers off your doorstep. There are at least a few businesses that do this in Canada, including Curry Mobile in Ottawa, which uses — you guessed it — tiffins. The company aims to not just reduce waste, but also to encourage people to make lunch a social experience. It requires customers to order at least five meals at once and delivery includes a question to ask one another, such as: "Where would you like to travel and why?" The company picks up the dirty dishes later that same day. Co-founder Kabir Ali admits the return trip makes his business's logistics and potential expansion more challenging, but he thinks it's worth the extra effort. "Our customers who use it, they really value the fact that it's zero waste," he said, adding most of them are repeat customers who do a group lunch once a month or more. The Saskatoon-based meal delivery service Skip a Beet uses a similar model. Owner Danielle Genest prepares up to 120 meals a week that she delivers to customers in reusable containers, if they've paid a $20 deposit. She made the decision to offer that option because she tries to be waste-free at home and didn't want to be sending meals to her customers "all in garbage." Her reusable containers range from Mason jars to popular bento box-style plastic containers that customers can pop right in the microwave. She collects the dirty-but-rinsed dishes when she makes her next delivery and puts them through an industrial dishwasher at the commercial kitchen she rents. Wouldn't it be great if you could count on all restaurants, everywhere to offer a reusable option, and returning it was convenient? Many university campuses — and some cities — are starting to make that a reality. 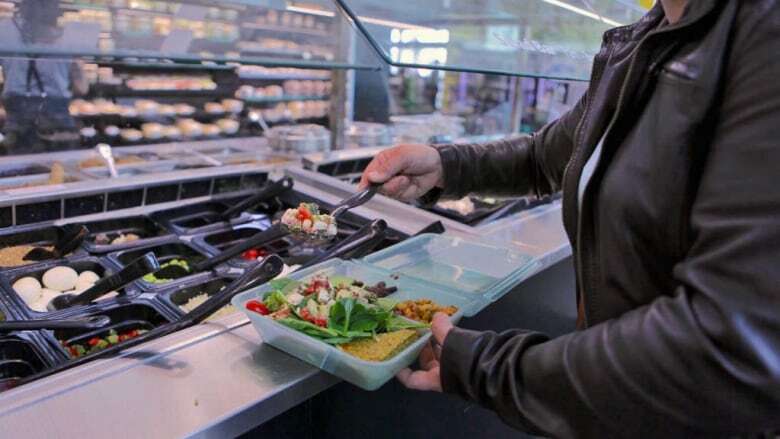 A number of Canadian universities, including Western University in London, Ont., and the University of British Columbia, have programs where students can buy a membership and get access to reusable plastic clamshells when they buy food on campus. The containers can be dropped off dirty to be cleaned and sanitized for reuse. Customers return the containers to "Ozzi machines" in exchange for a token that will let them request another reusable the next time they get takeout. The machines tracked 75,000 containers in 2017. Oliver de Volpi, McGill's executive chef of operations and sustainability, estimates another 25,000 or so were returned directly to cashiers at locations that didn't have Ozzi machines, keeping a total of about 100,000 containers out of the trash. Could a system like this be expanded beyond university campuses? "Yes, I see it as being very possible," de Volpi said. The Ozzi system has already been expanded to summer camps on campus, he said. And the Food Secure Canada conference at nearby Concordia University in November will be borrowing 600 containers to do a zero-waste lunch. GO Box, in San Francisco and Portland, Ore., and Green to Go, in Durham, N.C., are programs trying to apply this type of concept to entire cities using technology and systems similar to bike-sharing programs. With Green to Go, customers use an app to check out where reusable takeout containers are offered and can order meals at 25 participating restaurants. They can return the dirty containers at any participating restaurant or other drop-off locations around their city found through the app. Green to Go collects the containers and washes them at an industrial facility before dropping off clean replacements at participating restaurants, which don't all have industrial dishwashers themselves. "It takes all the burden off the restaurant," said Crystal Dreisbach, director of a non-profit organization called Don't Waste Durham, which incubated the program and is now hoping to spin it off as a for-profit business that will help other cities launch similar programs. "Our goal is to make reuse as easy as throwaway." The program has been so popular it no longer has to recruit restaurants to participate. "They're coming to us now," Dreisbach said, adding two or three new restaurants join each month. "It's definitely working." The biggest challenges have been explaining the program to new users, inaccuracies in tracking containers and the number of steps customers have to go through to check out or return a container. The program is currently working on new technology to address those issues. Dreisbach admits the program, which charges membership fees to both restaurants and customers and relies entirely on volunteers, except for one part-time employee, doesn't yet pay for itself. 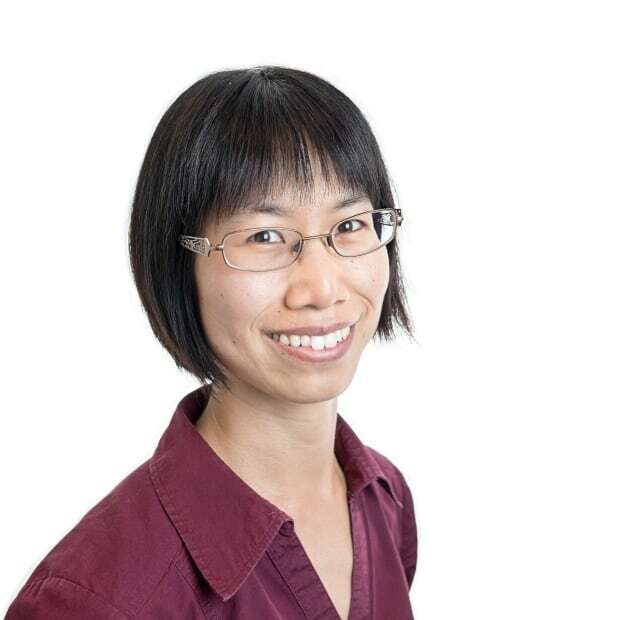 "Our main goal is to demonstrate that it can work," she said. "And our next step is to show that this can be a financially viable business." The environment is changing — this much we know. But what are we doing about it? We'll dive into that and other provocative questions about how to build a more sustainable world in our new weekly newsletter: What on Earth? Written by CBC News journalists and delivered to your email inbox every Thursday afternoon. Subscribe here.